They share a deep frustration and sadness over the crisis facing their country, where divisions have intensified and family members still live in fear. Fear and sadness flood the dusty office at Dubai Auto like a tidal wave, forcing Omar Mazaal to step out into the faded afternoon light to compose himself. He returns a few minutes later, wiping his eyes with one hand, still clutching a grease-soaked rag in the other. 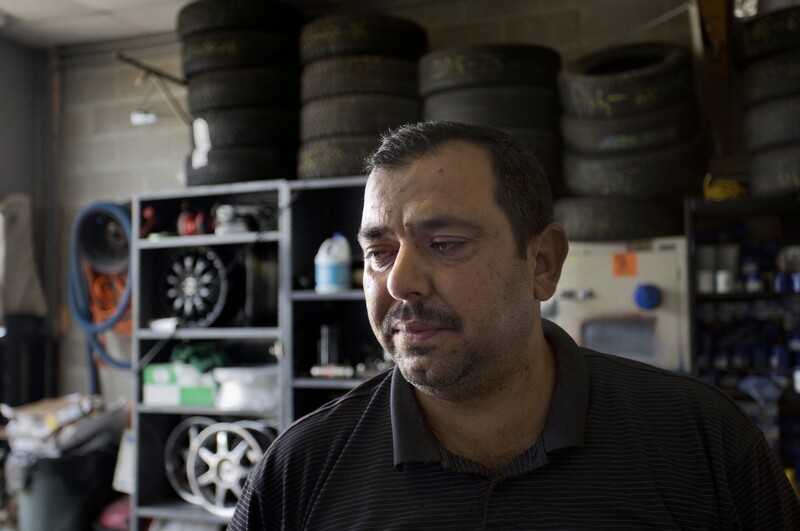 He’s been working as a mechanic at his brother’s car sales and service shop on Forest Avenue for more than a year, ever since he came to Portland seeking asylum from al-Qaida death threats in his home country of Iraq. Mazaal apologizes for his uncontrolled emotions. He is brought to tears easily these days. He left behind his wife, four children and other family members in Ramadi, a city just west of Baghdad that has been pummeled by Islamic extremists in recent weeks. As Iraq’s borders disintegrate and the country teeters on the brink of all-out civil war, Mazaal thinks only of his family. He wants to go back, though he knows it’s impossible. He wants to protect them. Mazaal, 40, is among a fast-growing number of Iraqi immigrants in Maine who are captivated, frightened and saddened by what’s happening in their homeland. There’s also a small but significant Iranian Kurdish population in Portland that’s watching how the expanding sectarian violence is affecting the Kurdish Autonomous Region in northeastern Iraq. 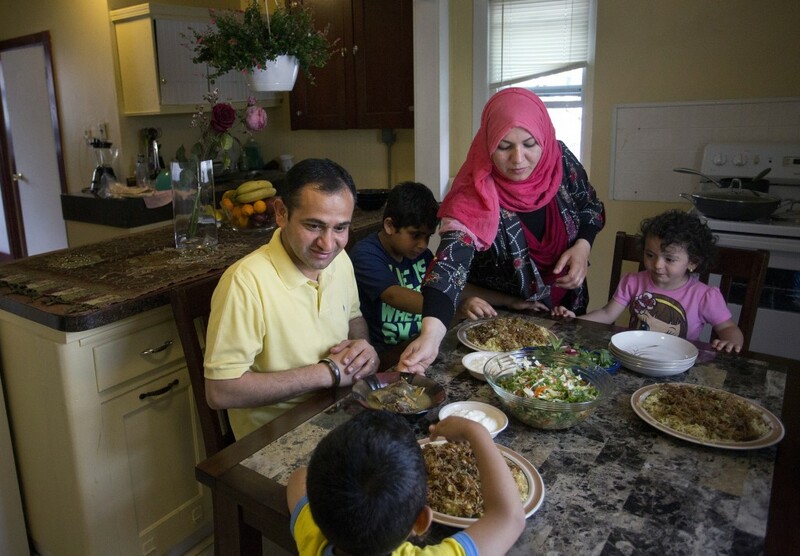 An estimated 600 Iraqi immigrants have moved to Maine since 2008, including 573 refugees settled here by Catholic Charities Maine since 2010. About 200 families are scattered across some of Maine’s largest communities, namely Portland, Westbrook, Augusta, Bangor, Saco and Biddeford. The largest Iraqi community is in Portland, which has several Iraqi-owned businesses, including three grocery stores, a bakery, a restaurant and Khald Mazal’s auto shop. In recent weeks, conversations in Maine’s Iraqi community have focused on what’s happening more than 5,000 miles away. The Islamic State of Iraq and the Levant, or ISIL, a jihadist militant group that professes Sunni Islam, has swept from war-torn Syria into northern, western and central Iraq, capturing several major cities, including Mosul and Fallujah. The group released shocking photos and videos of mass executions, including Iraqi soldiers and others associated with the Shia-led government that came to power after U.S. forces ousted Saddam Hussein. The group’s name hints at future plans: the Levant is a large region of the Middle East that ranges from southern Turkey, through Lebanon, Syria and Iraq, to Israel and Jordan. 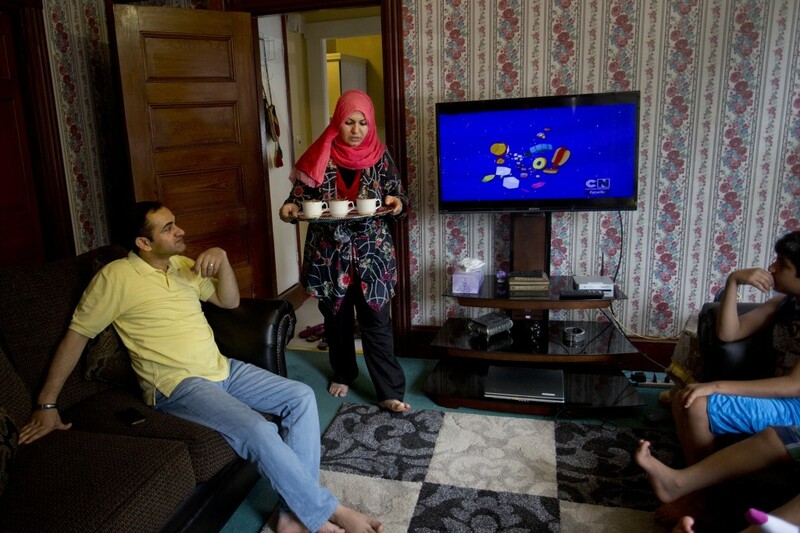 Iraqi immigrants in Maine disagree on the various causes and effects of the Sunni and Shiite divide in their country, both past and present, and many decline to talk openly about which sect they belong to. They point to conflicting outside influences from Sunni-dominated Saudi Arabia and Shia-ruled Iran and Syria, as well as broader competing global political and economic interests in Iraq’s oil and other resources. “There’s a lot of oil in Iraq and a lot of countries want to consume it,” says Khald Mazal, 50, the garage owner, who lives in Falmouth. They wrestle with the question of whether U.S. military action in Iraq made things better or worse, noting that the ISIL, which al-Qaida disowned earlier this year, is proving to be more fierce and inhumane toward fellow Muslims than al-Qaida. “(ISIL) have gone beyond al-Qaida. Al-Qaida are angels compared to them,” says Ali Al Mshakheel, 38, an Iraqi journalist and public relations specialist who came to Portland in March as a refugee with his wife and three children. They blame current Prime Minister Nouri al-Maliki for failing to unite Iraq – because he’s too friendly with Iran, or he didn’t make Sunnis feel more welcome in a corrupt and ineffective new government, or he ignored seething Ba’athist Party elements from Saddam Hussein’s era that have ties to Syria. Many see the tentacles of trouble stretching much further back, to World War I, when the British and French drew Iraq’s borders with little regard for the people who lived there. “It’s incurable,” says Ali Manahe, 37, who came to Portland in 2010. He has a wife and two children and works part time at Sindbad Market on Forest Avenue. When a reporter confesses confusion over evolving details in recent news reports and expresses a desire to learn the truth, Iraqis in Maine admit the limits of their own knowledge. “Good luck,” scoffs Waleed Issa, 26, Khald Mazal’s son, who graduated last month from Southern Maine Community College with a degree in information technology. 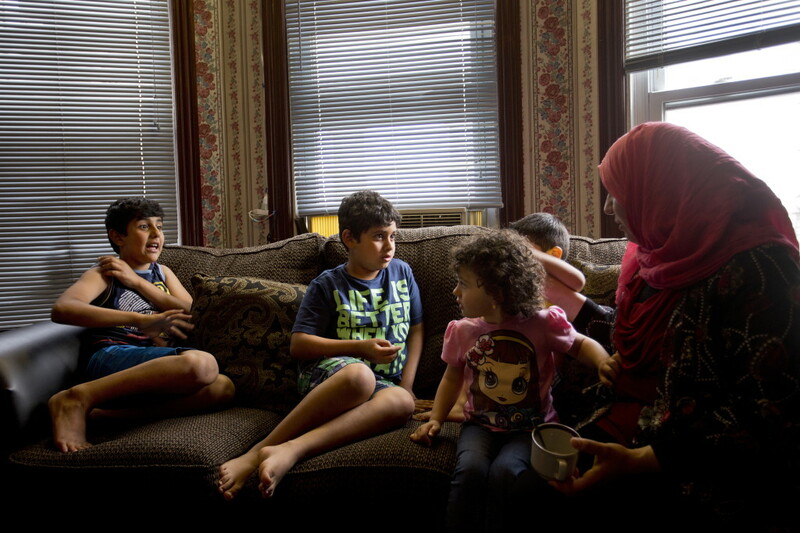 Despite differences of opinion and religious background, Iraqis in Maine share a deep frustration and sadness over their native country’s inability to move beyond sectarian divisions and political opportunism and function as a democratic society. “Sometimes when I see the news, I cry,” says Khald Mazal, 50, the garage owner. A former colonel in the Iraqi army before the U.S. invasion, Mazal came to Maine in 2008 and worked as a cultural adviser to U.S. troops for one year. He has applied for U.S. citizenship and anxiously awaits a reply. Mazal says he was a member of Saddam Hussein’s Ba’athist Party in name only, as many Iraqis were, and he disputes reports that former Ba’athists support the ISIL. And while he supports the United States and is glad to be here, he believes the situation in Iraq worsened after U.S. intervention. He says there’s only one solution to address the injustice and government corruption that followed Saddam’s demise. But he won’t let his younger brother return to Iraq and rejoin the fight. 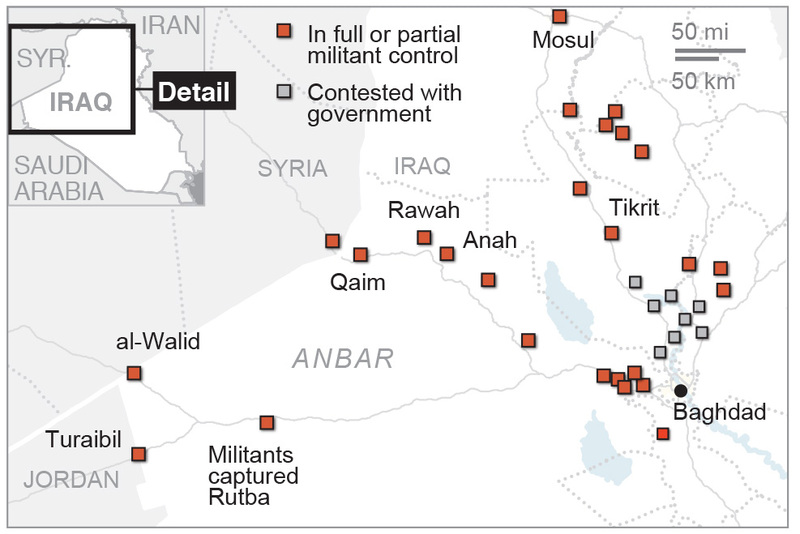 Omar Mazaal is a former member of U.S.-backed Sunni security forces known as the Anbar Awakening. He was kidnapped and tortured for nine days by al-Qaida militants in 2010. The experience left his body and soul scarred and broken, and it made him a target for reprisals after U.S. forces left Iraq in 2011. 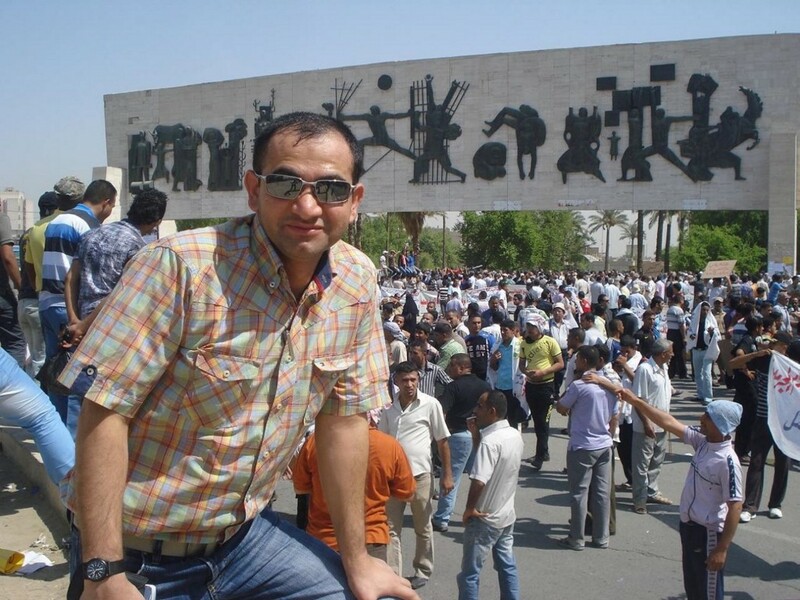 Now, as his native country crumbles, Omar Mazaal wants to go back and protect his family. Ali Al Mshakheel also believes he may never be able to return to Iraq. 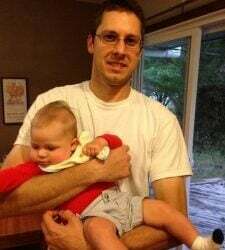 He was a reporter for ABC News and a spokesman for the United Nations Assistance Mission in Iraq before leaving Baghdad for Portland less than three months ago. Al Mshakheel says he’s angry that al-Maliki has squandered Iraq’s opportunity to create a truly democratic state by failing to develop an inclusive government, though last week the prime minister tried to show unity among Sunni, Shiite and Kurdish leaders. Al Mshakheel sees the rise of the ISIL in Iraq as the latest evidence of “proxy wars” being fought with sectarian support from Iran and Saudi Arabia, like the conflicts in Afghanistan, Syria, Jordan and Bahrain. The ISIL had plenty of opportunity to undermine Iraq’s Shia-led government – it was largely dysfunctional and had no leadership, so disempowered Sunnis and disgruntled former Ba’athists have done what they could to make it fail, Al Mshakheel says. Al Mshakheel warns against letting the ISIL get a foothold in Iraq, where it can continue to feed its growth, siphoning oil revenues as it has done in Syria and winning support from outside influences. For now, Al Mshakheel finds himself glued to news sources, reading and watching everything he can about what’s happening at home. He hopes the current government survives and reforms itself, but each day brings more news of killing and division. “It makes me feel there’s no return for me,” he says, his eyes shimmering. Also watching the Iraqi conflict from afar are about 20 Iranian Kurds who live in Greater Portland. They belong to what is thought to be the world’s largest ethnic group without a homeland, though the Kurdish Autonomous Region in Iraq comes close. They have been widely oppressed and persecuted in the area they call Kurdistan, a largely mountainous region that includes parts of Turkey, Syria, Iraq and Iran. Maine’s Iranian Kurds include Reza Jalali, 59, who is an author and heads the Office of Multicultural Student Affairs at the University of Southern Maine. He came to Maine in 1985 and lives in Falmouth with his wife and two children. As Iraq fractures, Kurds around the world see the potential for the Kurdish Autonomous Region to become an independent nation, similar to Israel. Kurds who live in Iran are still highly oppressed, living with military checkpoints and widespread discrimination because they are Sunni Muslims in a mostly Shiite country, Jalali says. In Iraq, Saddam Hussein tried to eliminate the Kurdish population using military force and chemical bombs. Since 2005, Iraqi Kurds have been largely left to run their own government, economy, educational system and military forces. “It’s the only region of Iraq where people feel safe,” Jalali says. Ghomri Rostampour agrees. 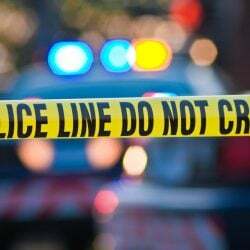 She’s an Iranian Kurd who lives in South Portland with her teenage daughter; extended family members live in Westbrook and elsewhere in the United States. She visited the Kurdish region of Iraq in 2012 and she’s confident she would feel safe there today. 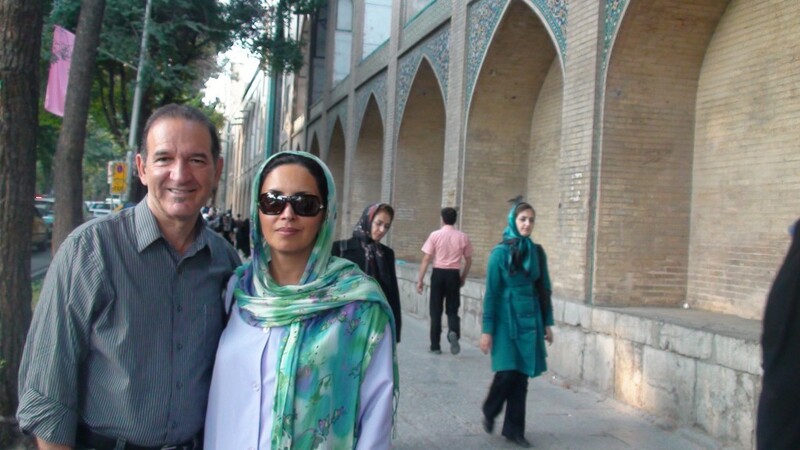 A former high school principal in Iran, Rostampour came to Portland in 1999 as a refugee to escape persecution, including the kidnapping and murder of one of her brothers. 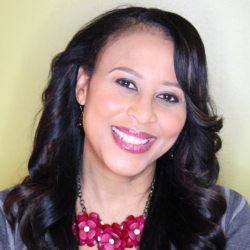 Now, she’s a computer technology leader in the Portland public schools. Rostampour chafes at the suggestion that things were better under Saddam Hussein. 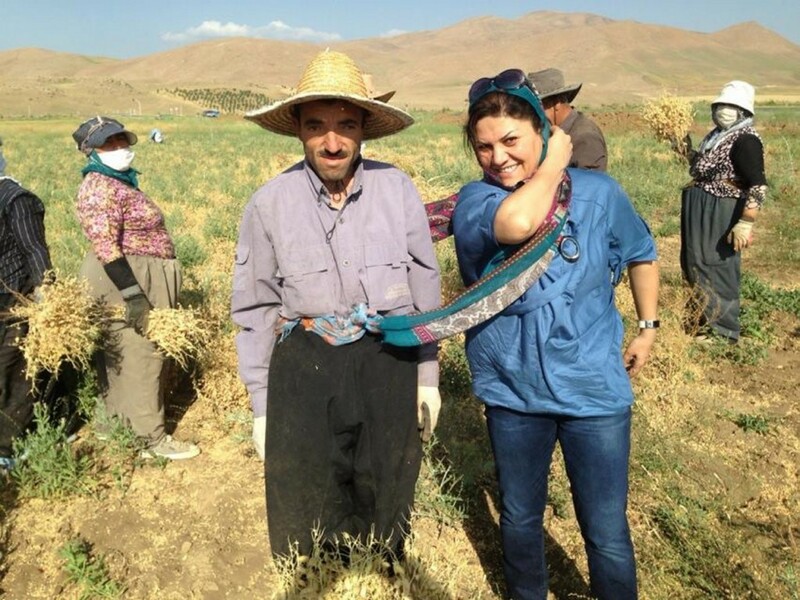 She was there in June 1987, when his warplanes dropped chemical bombs on Sardasht, Iran, her native city, killing more than 100 people and injuring thousands more. “Things were not better under Saddam Hussein,” she says emphatically. Both Rostampour and Jalali note the potential for strange bedfellows created by the current conflict, which has aligned U.S. and Iranian interests in preserving the Shia-led government in Iraq. Rostampour worries that Kurdish efforts to maintain security in their region of Iraq will be challenged if Iran gets involved.